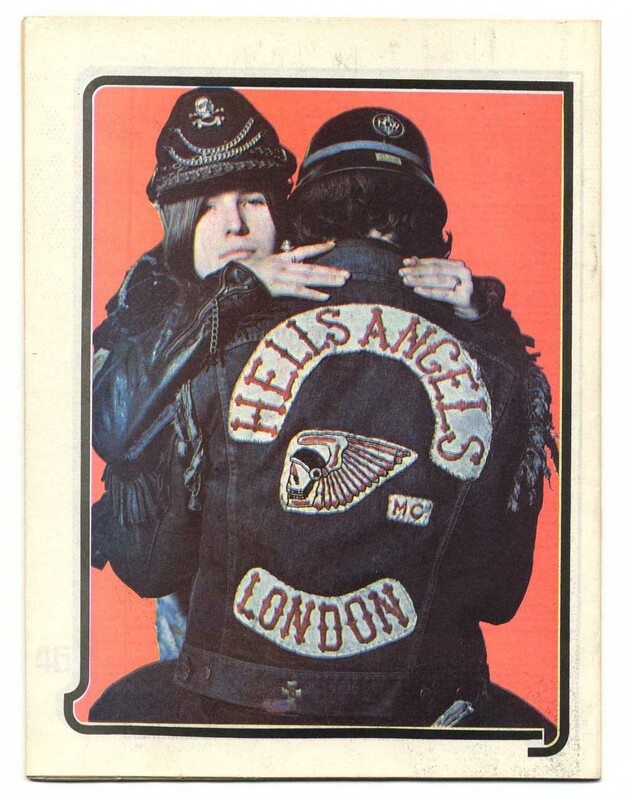 Contents include: Hells Angels cover and article, John Wilcocks Other Scenes. The Situationists are Coming by Angelo Quattrocchi. Bedtime Story by Peter Buckman. 2 pages Victor Vulgar a cartoon by Von Mora. A Vicious God. Poems & graphics. Child That I Am I Do 4 page text and pictures of the Incredible String Band by Danae. Word Play by Peter Mayer. Jimmy Page interviewed by Felix Dennis. Art Graphic by Mike McInnerey. International Times subscription form. Dr Hip-Ocrates. Poverty Cooking (roast Trafalgar pigeon). Out of the Psychodrama by David Widgery. Hells Angels-Hells Who? interviews by Andrew Fisher + pictures. Advert for Lenny Bruce LP. Jann Wenner and Rolling Stone by Sebastian Jorgenson. Record LP reviews of Traffic, Mike Bloomfield & Al Kooper, Blood, Sweat & Tears and Howling Wolf.